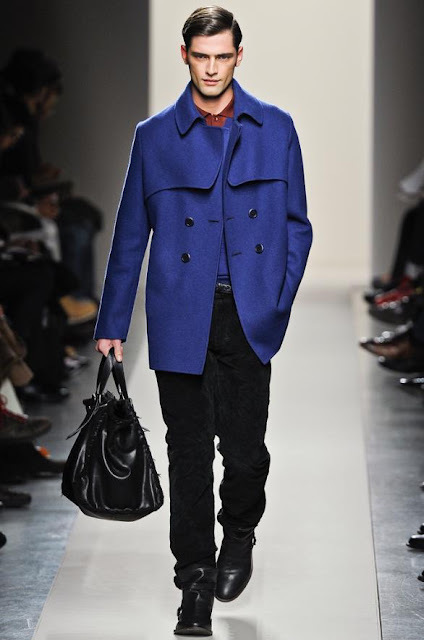 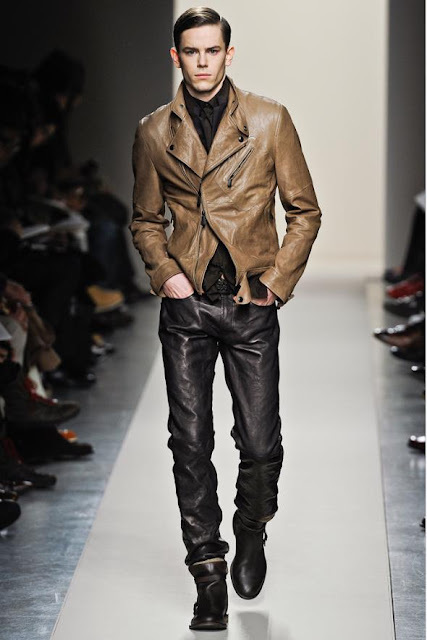 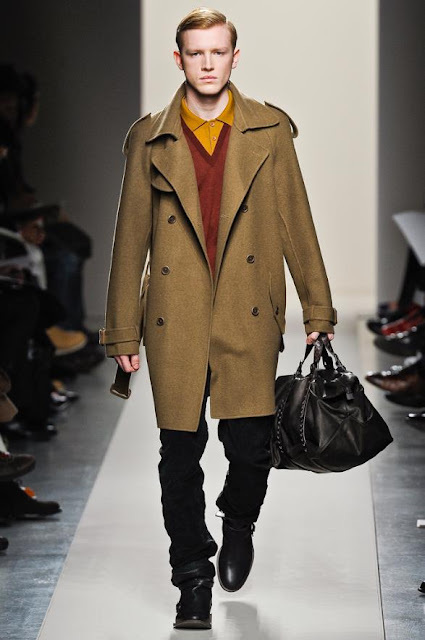 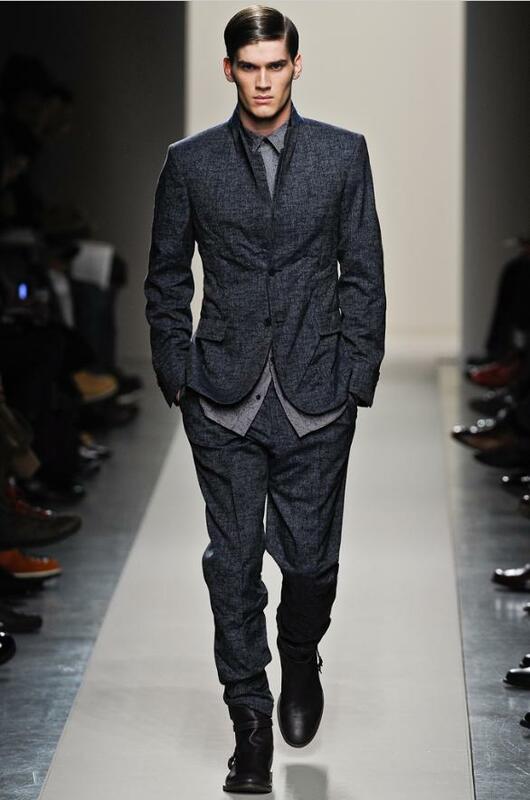 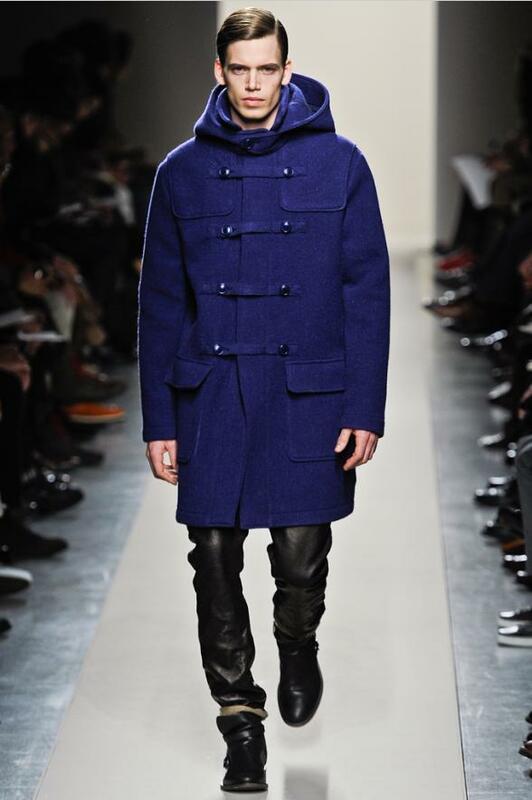 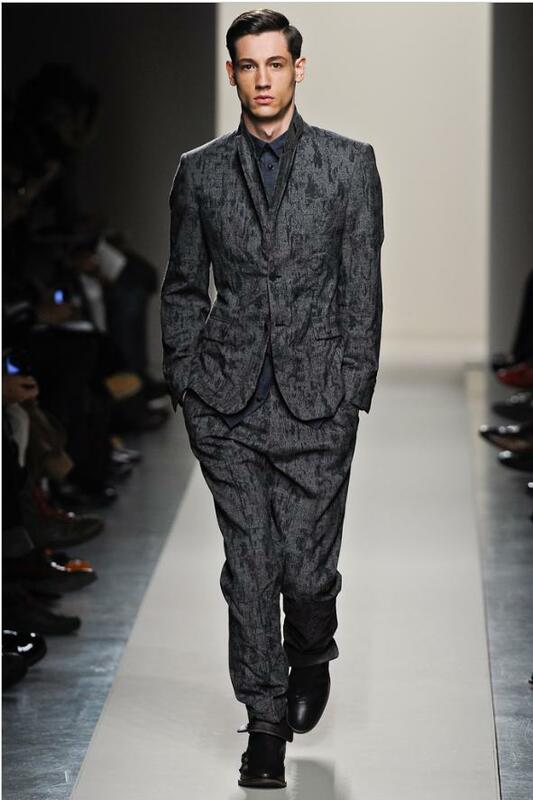 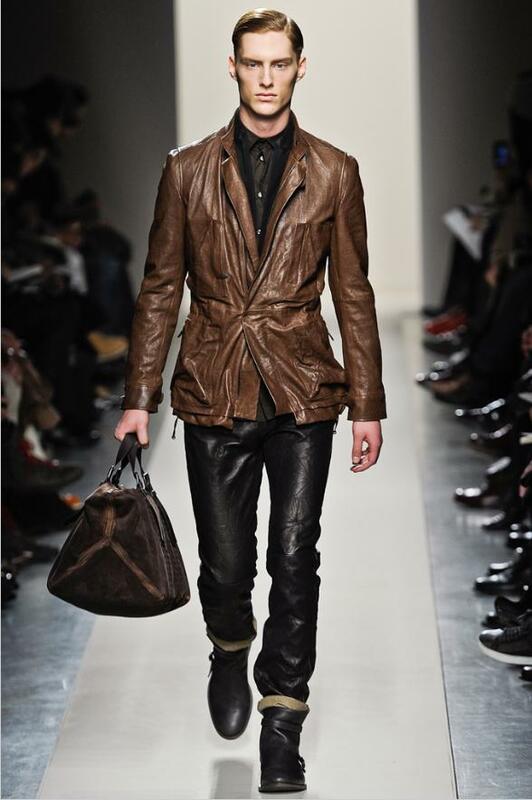 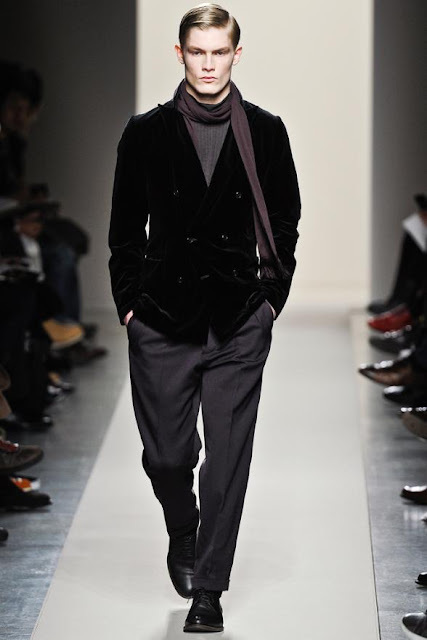 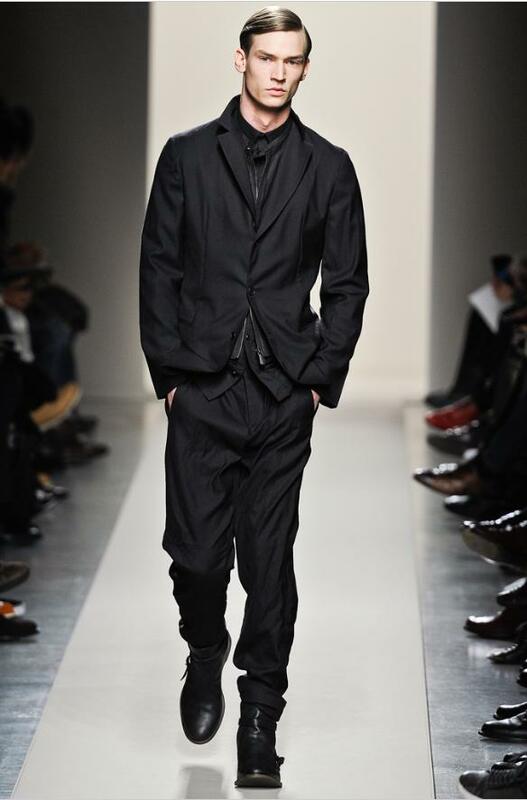 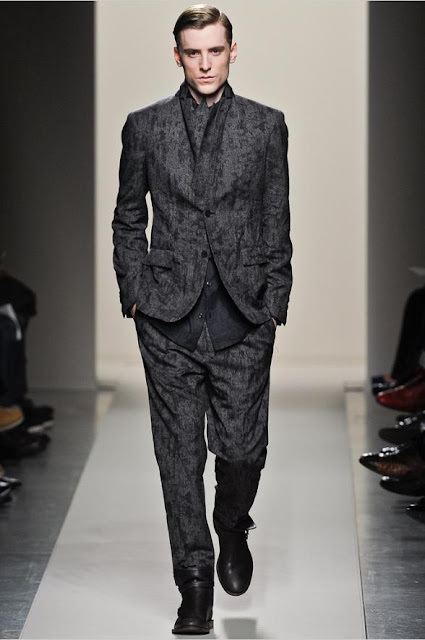 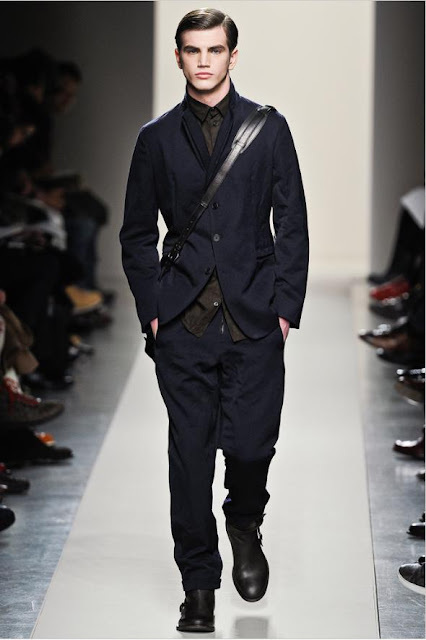 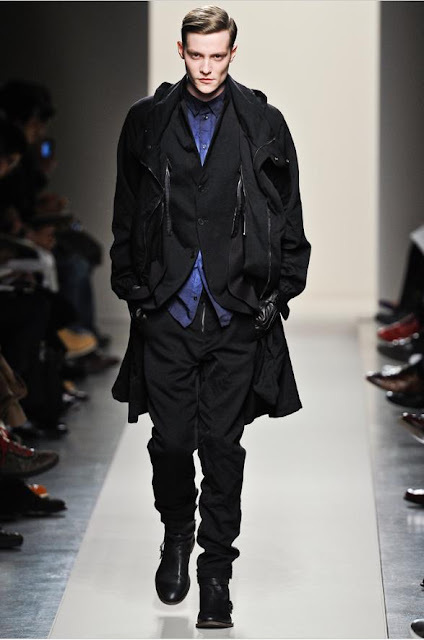 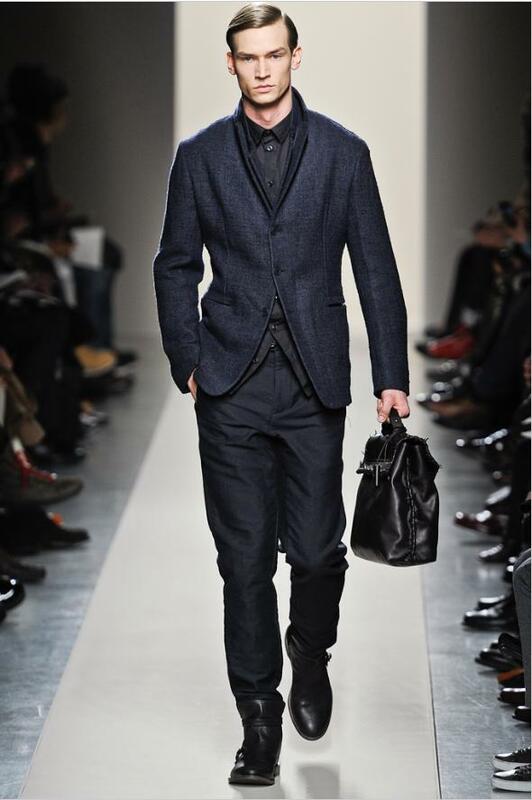 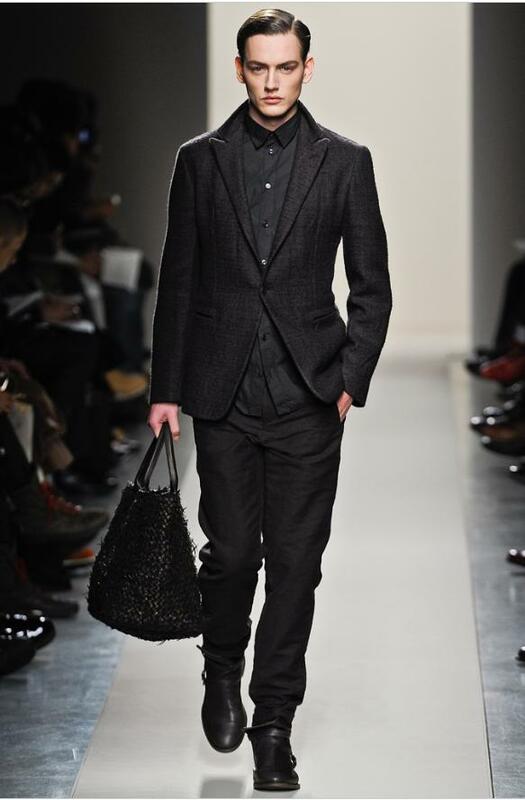 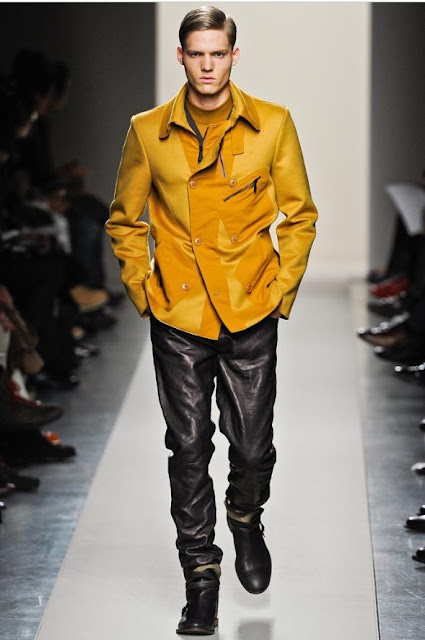 The Bottega Veneta by Tomas Maier for fall/winter 2011/2012 is all about jet set lifestyle, clothes that you can pack and unpack in your suitcase and still would look great. 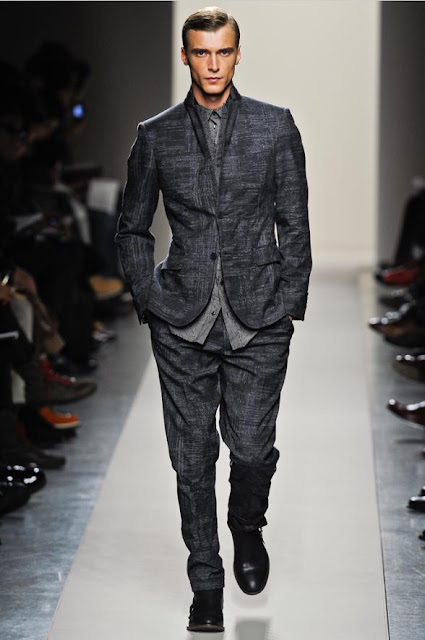 The wrinkled, washed, crumpled texture and broken print s of the garments gave a live-in look and nonchalant style to the clothes. 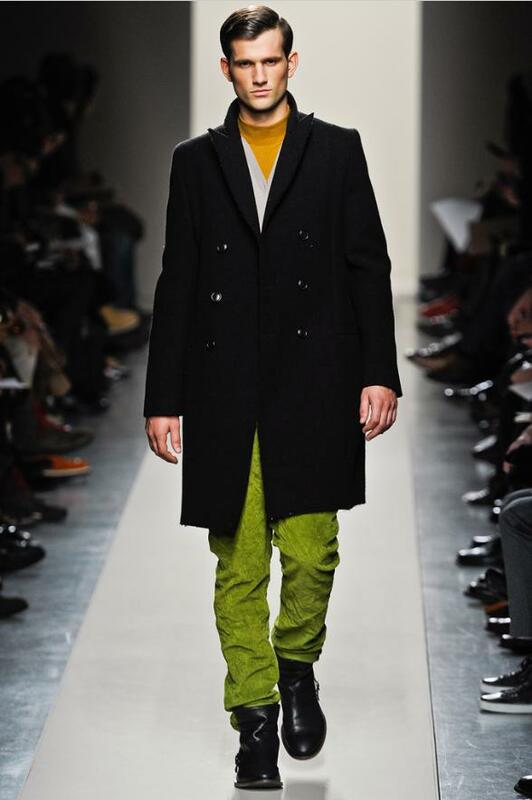 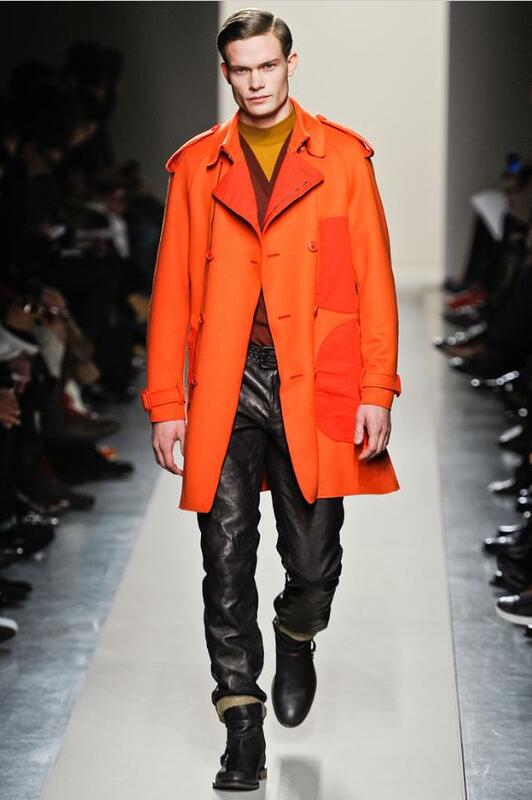 Splash of tangerines, mustard, sapphires, lime green and blue colours lifted the mood of the collection. 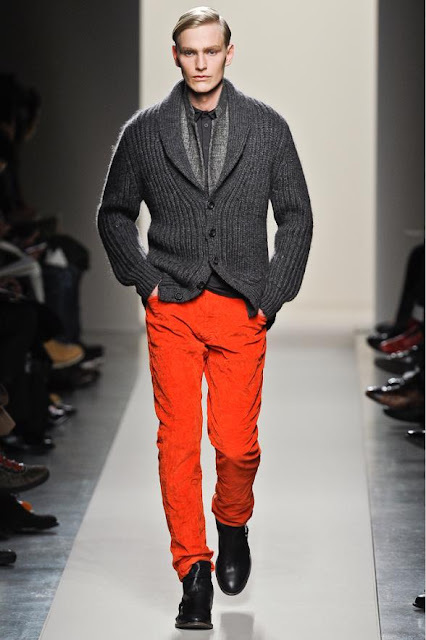 Maier created luxurious and functional wardrobes for modern men.